Sen. Michael Bennet, D-Colorado, leaves the chamber after an emotional speech on the Senate floor over the partial government shutdown at the Capitol in Washington, Jan. 24, 2019. 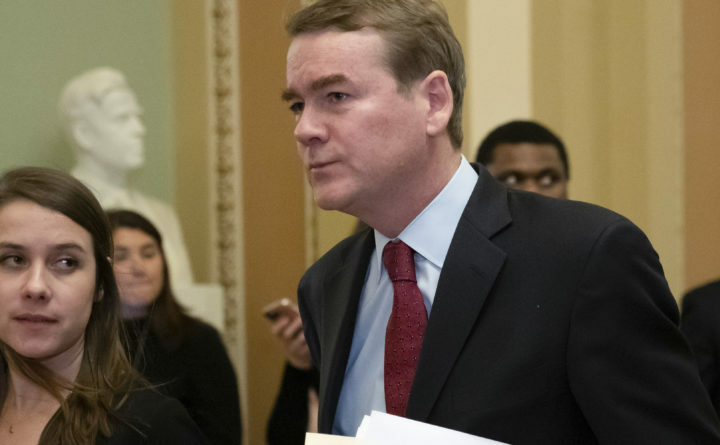 Sen. Michael Bennet had a message for fellow Democrats this weekend as two more White House contenders formally jumped into the 2020 presidential race: Don’t forget about me. Bennet’s late father, Douglas J. Bennet, led National Public Radio in the 1980s and early 1990s and worked in the Johnson, Clinton and Carter administrations. Bennet’s brother James is the editorial page editor of The New York Times. One of Bennet’s longtime allies, former Colorado governor John Hickenlooper, a Democrat, is also moving toward a run and will visit New Hampshire this week.